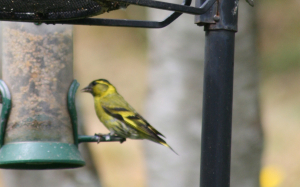 Observation - Siskin - UK and Ireland. Description: Siskin's usually feed upside down so this one was a bit confusing. Siskin's usually feed upside down so this one was a bit confusing.